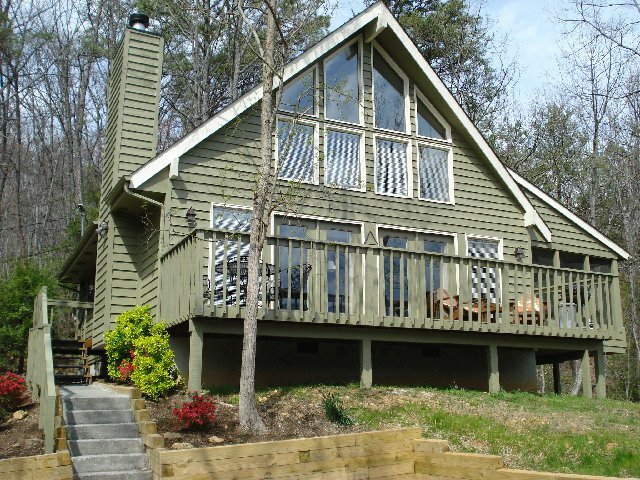 Perched among lush trees, Mountain Charm looks out onto the majestic Smoky Mountains. 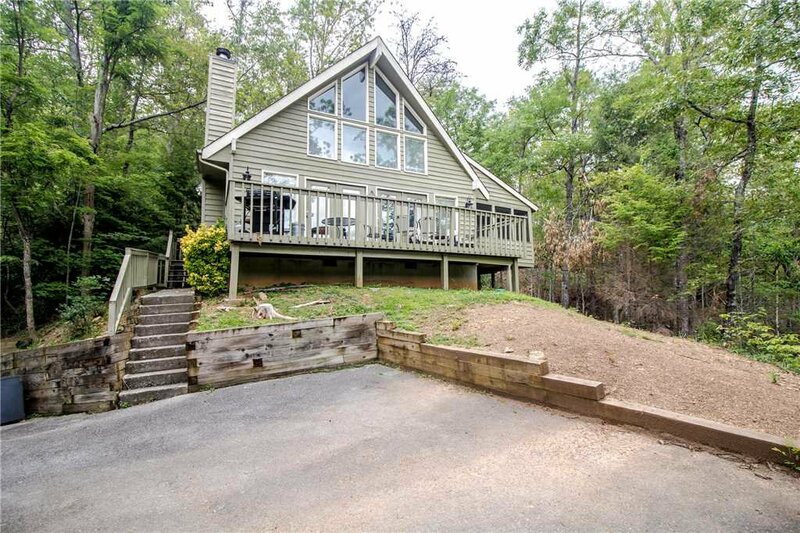 You’ll never grow tired of admiring the view from the roomy deck, which spans the width of the house. 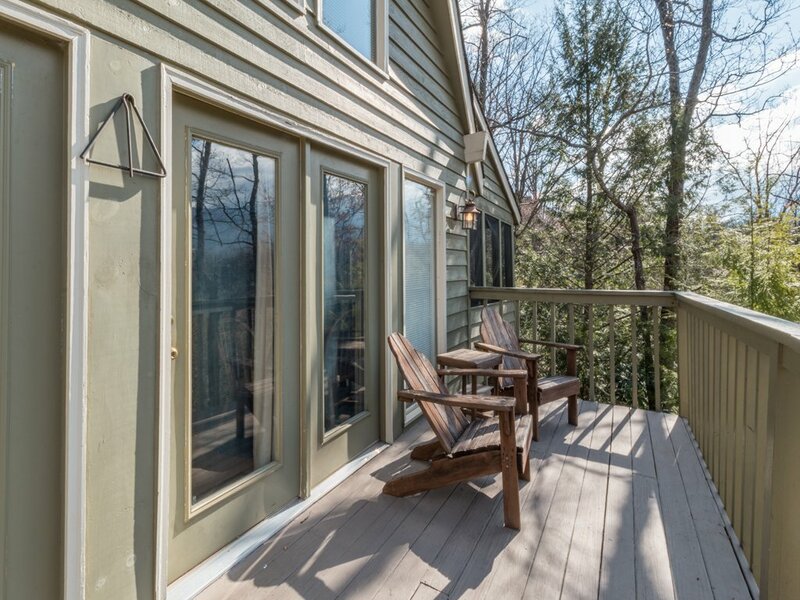 You can kick back in one of the Adirondack chairs with a book and a drink, as well as enjoy your meals alfresco at the deck’s dining table. 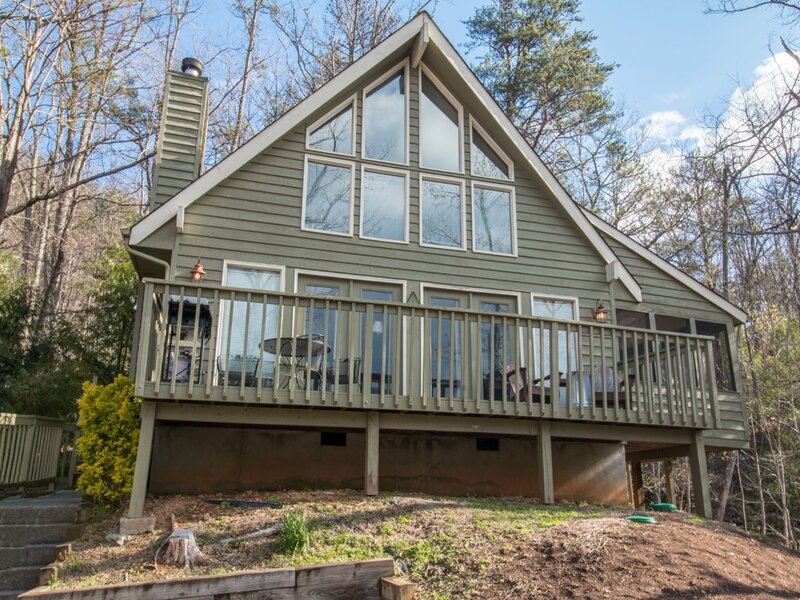 There’s a gas grill on the deck as well, so you can barbecue burgers or kabobs; the fresh mountain breeze is the perfect seasoning. 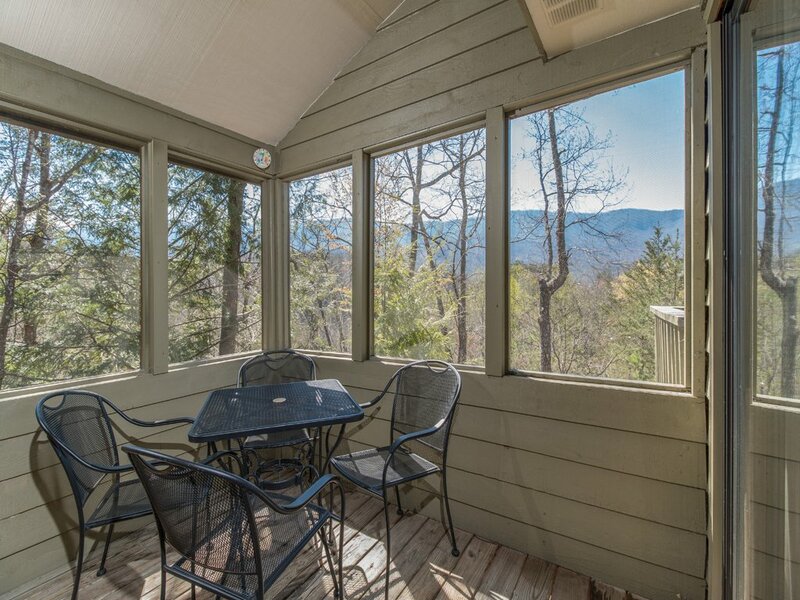 Mountain Charm’s screened-in porch enables you to relish the singing of the birds and rustling of the sun-dappled trees without having to shoo away uninvited buzzing guests. 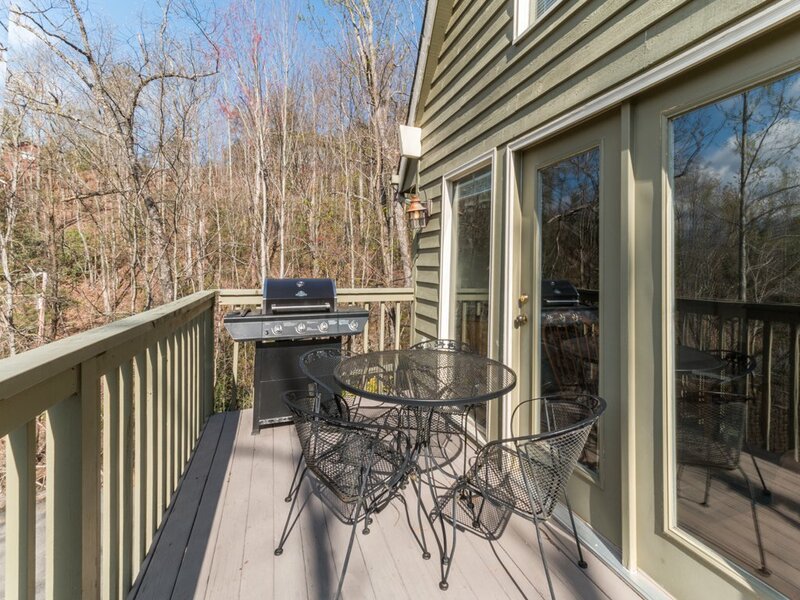 In addition to a bistro table and chairs, the porch features a spacious hot tub. 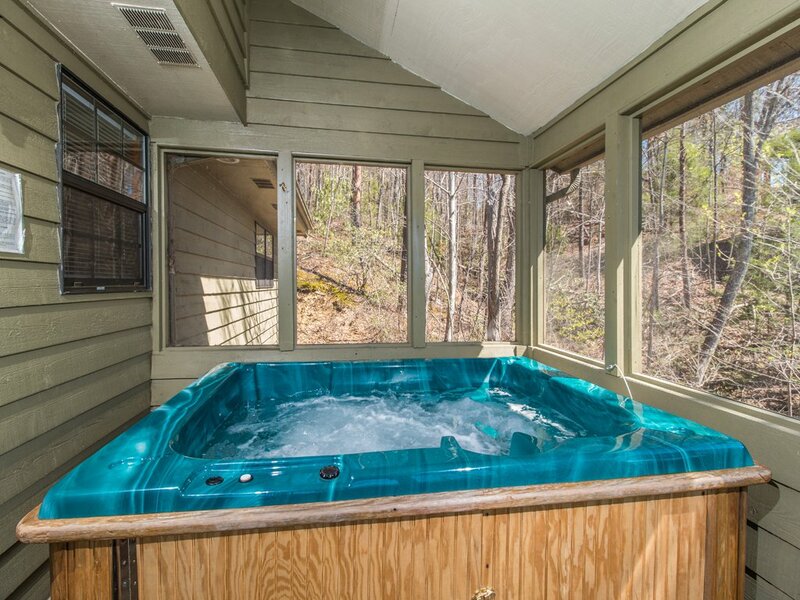 When you return from a day of hiking, golfing, or skiing, you’ll want to make a beeline to its massaging jets of water—sheer bliss! 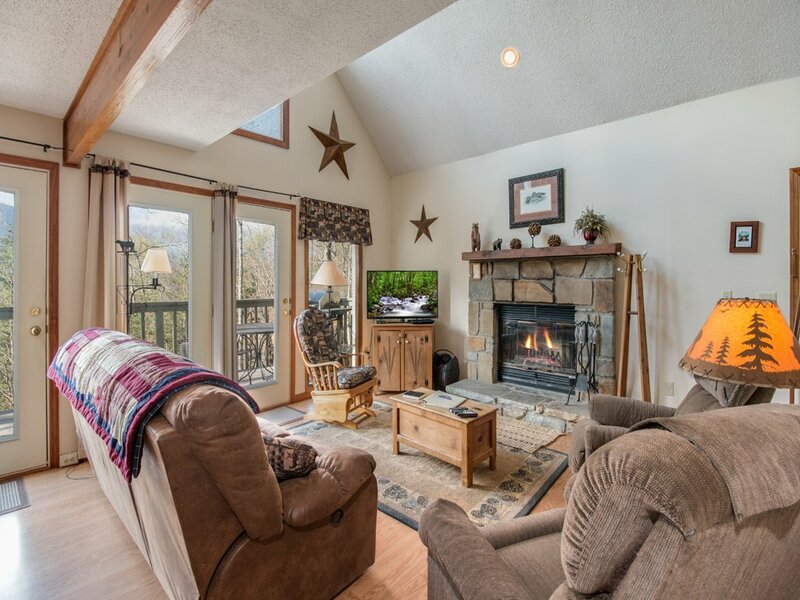 You can admire the scenery from Mountain Charm’s great room as well. Oversize windows let plenty of sunlight into the airy, open space. 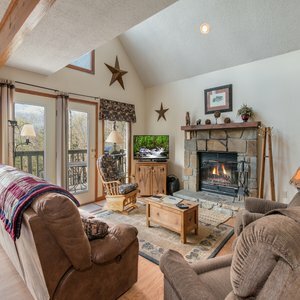 The plush sofa, spacious armchairs, and well-cushioned rocker ensure that everyone has a place to kick back, whether it’s to watch a movie on the flat-screen TV with cable or to play charades by the warming glow of the wood-burning fireplace. 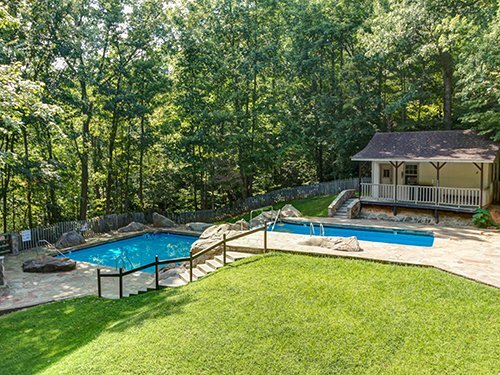 Because there’s no WiFi, you won’t feel obligated to answer email or check in on work. There are plenty of books, games, movies, and CDs, however, so that you can make the most of your time with family and friends. 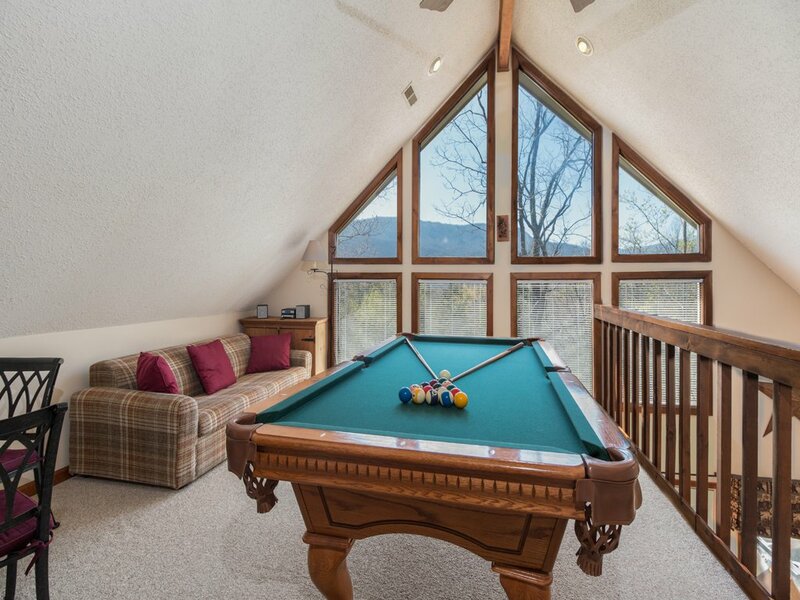 There’s even a pool table, up in the loft. 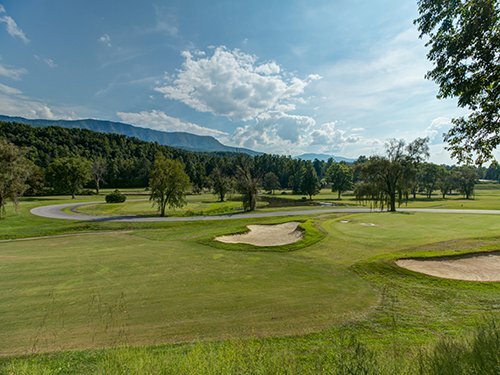 Just don’t let the view distract you from your shot! Numerous restaurants are only a short drive from Mountain Charm, specializing in everything from Cajun to Mexican to Southern comfort food. 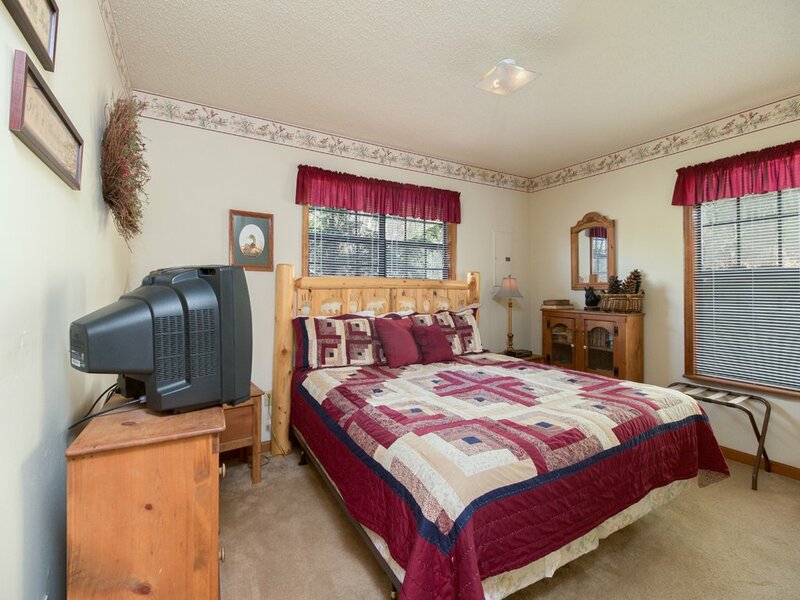 But you don’t have to head out to dine in style. 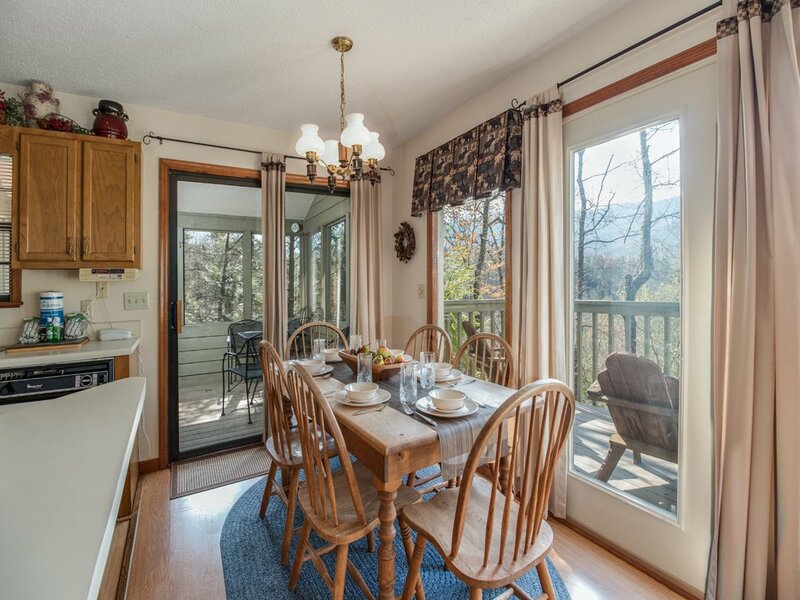 The great room’s dining table seats 6 with ease—and with a view of the Smokies. 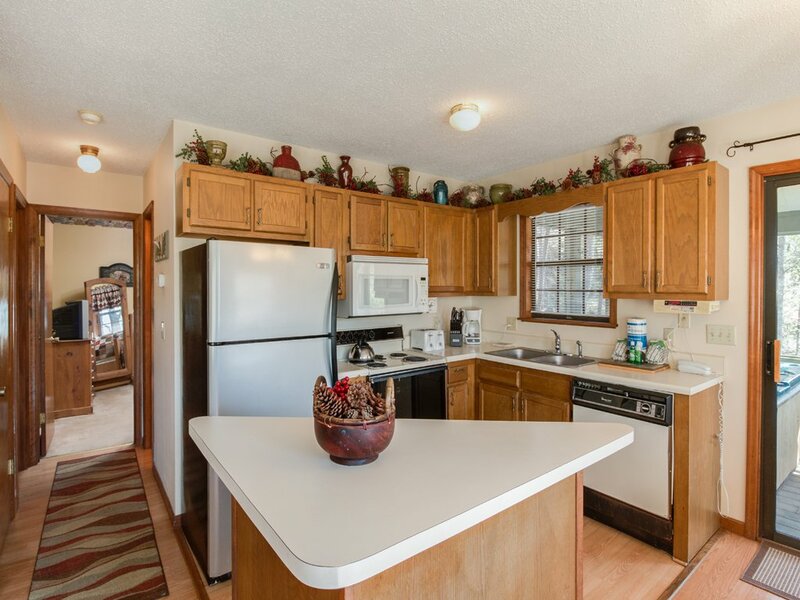 And the kitchen is fully equipped with all the appliances, cookware, and tableware you could possibly need, even if you’re hosting a holiday feast. 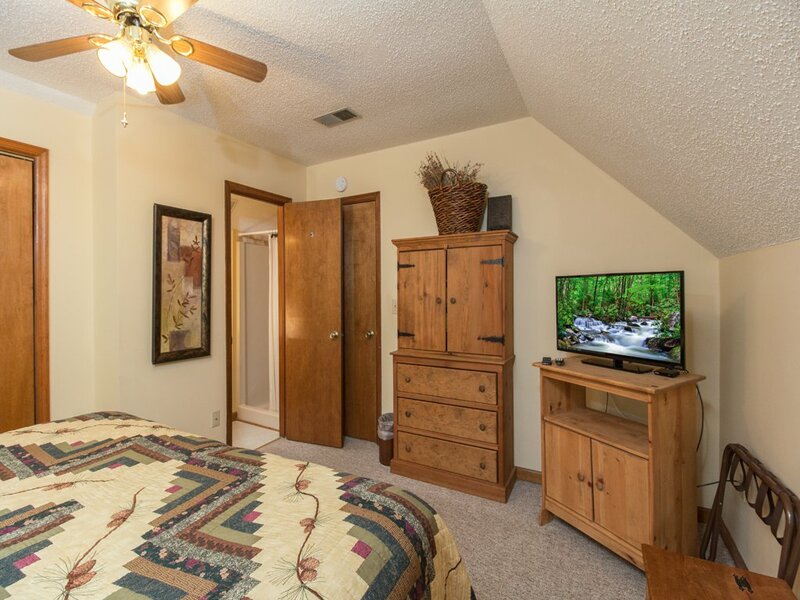 Each of Mountain Charm’s three bedrooms includes a TV, cozy country decor, and ample storage. 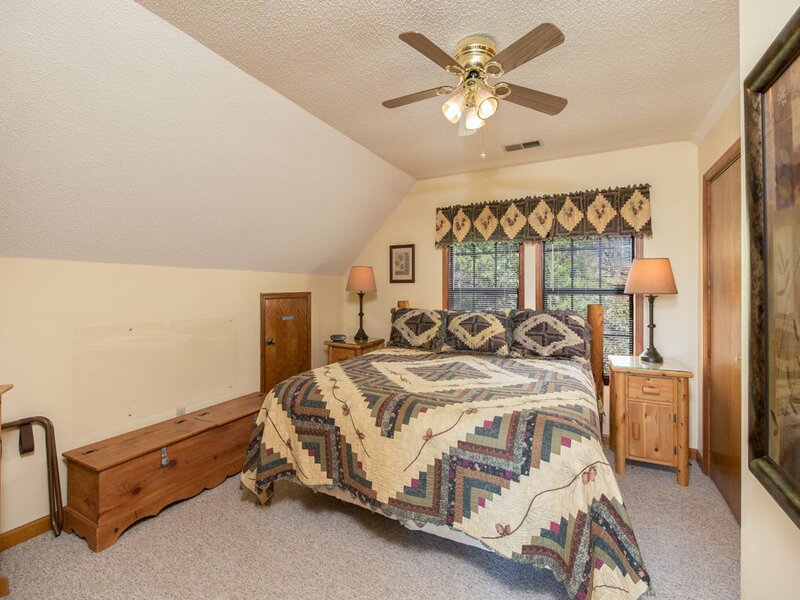 Two of the bedrooms, including the en-suite master bedroom, have a king-size bed; the third bedroom has an equally comfortable queen. 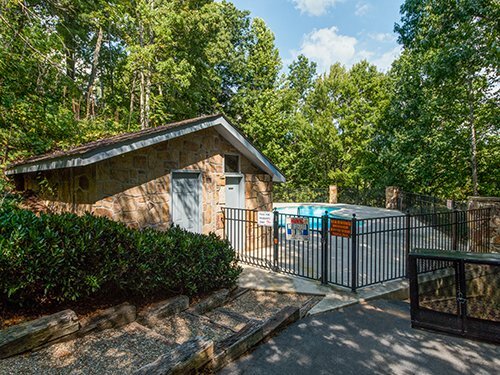 In addition to the private master bathroom, there’s a second full bathroom with a combination shower/tub. And as a bonus, the home has its own washer and dryer. 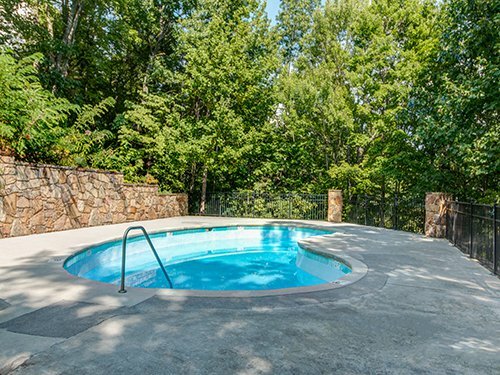 Mountain Charm is located in the sought-after Cobbly Nob neighborhood, which in turn is part of a 1,000-acre resort. 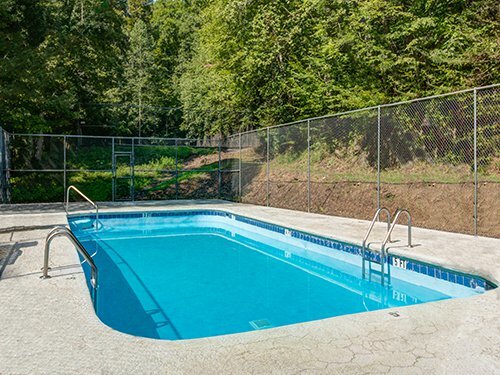 In addition to lovely walking trails, the neighborhood has three pool areas where you can swim throughout the summer. 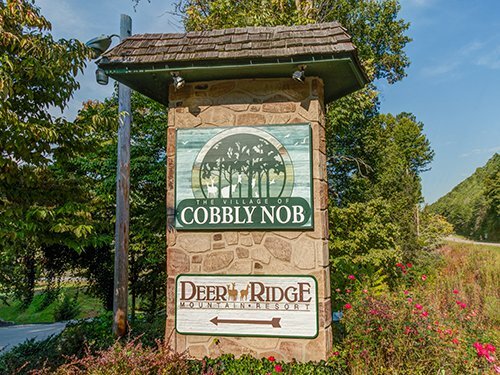 And if you play golf, you’ll be delighted to know that Bent Creek Golf Course, designed by the legendary Gary Player, is at the foot of Cobbly Nob, less than ten minutes from Mountain Charm. Equally close is Climb Works, where you can explore the mountains via zip line or mountain bike. 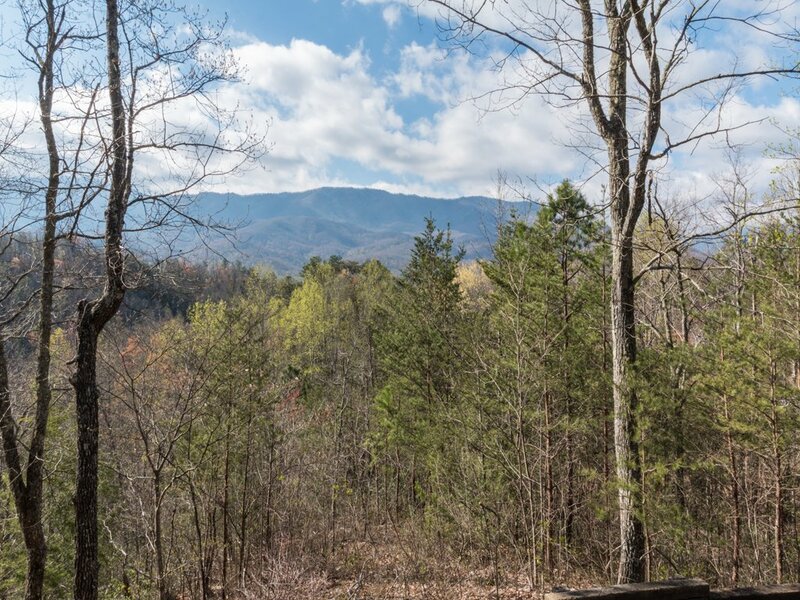 Just a few minutes farther are the Great Smoky Mountains National Park and the Smoky Mountains Arts & Crafts Community, an eight-mile trail of more than 120 shops, galleries, and studios. 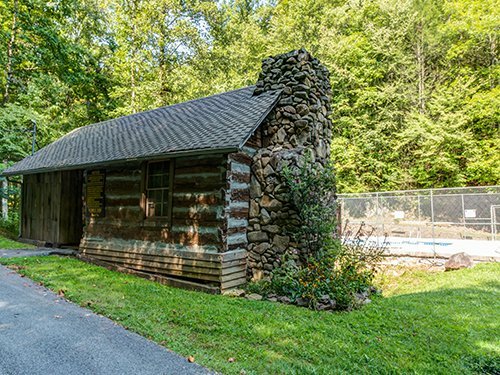 And in less than a half-hour you can drive to downtown Gatlinburg, home to Ripley’s Aquarium of the Smokies, the Guinness World Records Adventure, thrill rides, mini golf, arcades, distilleries, and more. 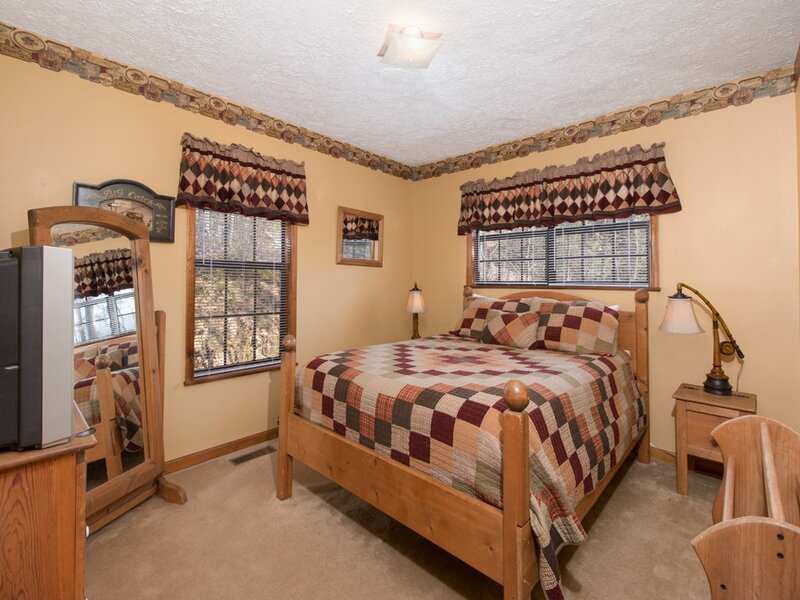 However you spend your days, you’ll love returning to the quiet and comfort of Mountain Charm at night. Book your stay today, then get ready for what might be your most relaxing, rejuvenating vacation yet.